when I choose the airframe, there`s no option showed for VTOL, or fun cub at all. 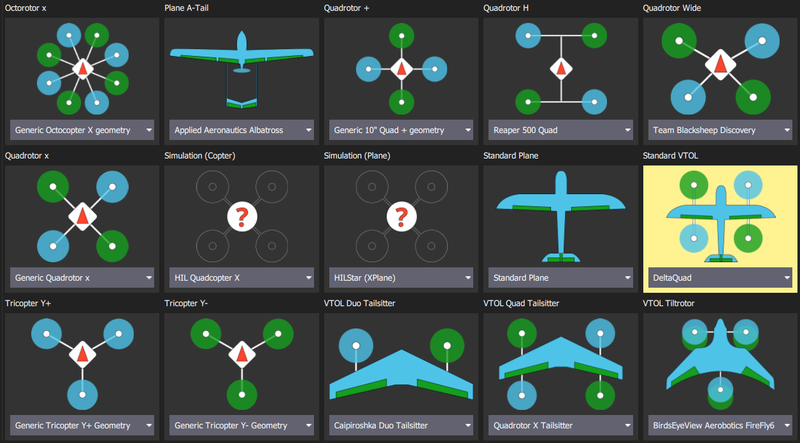 Is it because VTOL mode in the latest version of qgroundcontrolstation is not available anymore ? Did you scroll all the way down in the Airframe page? I'm using QGC v3.4.0.